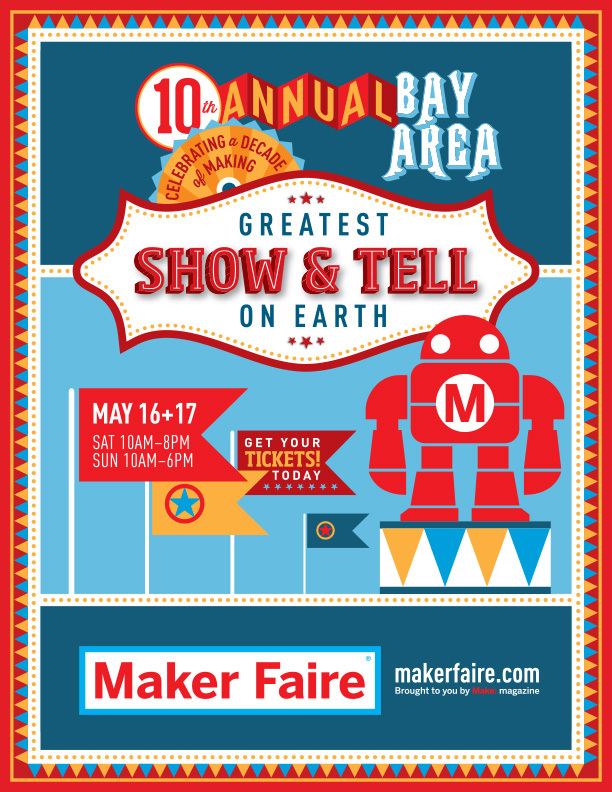 The Maker Faire Bay Area is celebrating 10 years of making! The weekend is starting and we’ll be there celebrating t0o. We invite makers, artists, designers, teachers, educators and passionate DIYers to visit our team at the Arduino booth (#2223) right next to Atmel! 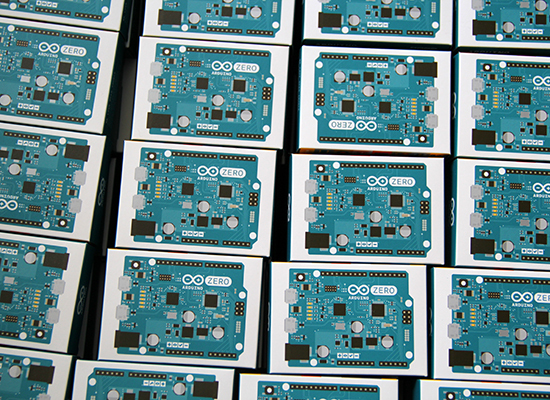 We’ll be showcasing cool demos of Arduino Create, Arduino Materia 101, Arduino at Heart Primo and you’ll be able to have a close look to some of the new boards like Arduino Gemma. 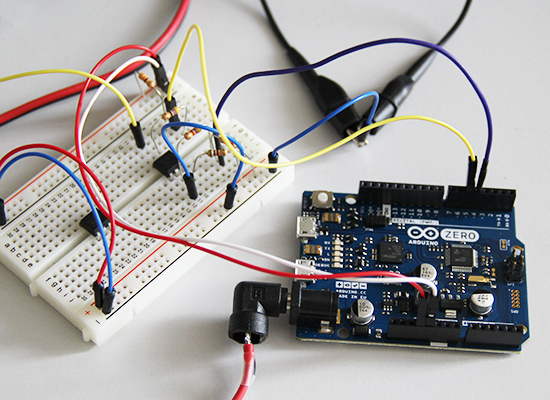 On Saturday at 12:30PM Massimo Banzi will be on the Center Stage for his traditional keynote on the State of Arduino. You are welcome to attend and learn about the latest developments in Arduino open-source microcontroller ecosystem. If you are coming with kids, don’t miss Teach Physical computing to kids workshop, with sessions running the whole weekend! 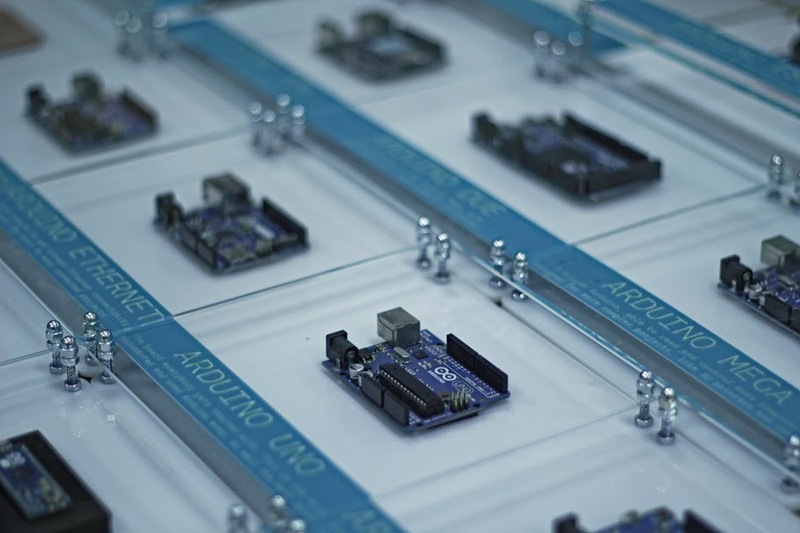 Atmel and Arduino teamed up at World Maker Faire to introduce the Wi-Fi shield 101. [Gary] from Atmel gave us the lowdown on this new shield and its components. The shield is a rather spartan affair, carrying only devices of note: an Atmel WINC1500 WiFi module, and an ATECC108 crypto chip. The WINC1500 is a nifty little WiFi module in its own right. WINC handles IEEE 802.11 b/g/n at up to 72 Mbps. 72Mbps may not sound like much by today’s standards, but it’s plenty fast for most embedded applications. WINC handles all the heavy lifting of the wireless connection. Connectivity is through SPI, UART or I2C, though on the Arduino shield it will be running in SPI mode. The ATECC108 is a member of Atmel’s “CryptoAuthentication” family. It comes packaged in an 8-pin SOIC, and is compatible with serial I2C EEPROM specifications. Internally the similarities to serial EEPROMs end. The ‘108 has a 256-bit SHA engine in hardware, as well as a Federal Information Processing Standards (FIPS) level random number generator. Atmel sees this chip as being at the core of secure embedded systems. We think it’s pretty darn good, so long as we don’t hear about it at the next DEFCON. The Wi-Fi shield 101 and associated libraries should be out in January 2015. We can’t wait to see all the new projects (and new ways to blink an LED) the shield will enable. At the Atmel booth at Maker Faire, they were showing off a few very cool bits and baubles. We’ve got a post on the WiFi shield in the works, but the most impressive person at the booth was [Quin]. He has a company, he’s already shipping products, and he has a few projects already in the works. What were you doing at 13? [Quin]‘s Qduino Mini is your basic Arduino compatible board with a LiPo charging circuit. There’s also a ‘fuel gauge’ of sorts for the battery. The project will be hitting Kickstarter sometime next month, and we’ll probably put that up in a links post. Oh, [Quin] was also rocking some awesome kicks at the Faire. Atmel, I’m trying to give you money for these shoes, but you’re not taking it. [Sophie] had a really cool installation at the faire, and notably something that was first featured on hackaday.io. Basically, it’s a virtually reality Segway, built with an Oculus, Leap Motion, a Wobbleboard, an Android that allows you to cruise on everyone’s favorite barely-cool balancing scooter through a virtual landscape. This project was a collaboration between [Sophie], [Takafumi Ide], [Adelle Lin], and [Martha Hipley]. The virtual landscape was built in Unity, displayed on the Oculus, controlled with an accelerometer on a phone, and has input with a Leap Motion. There are destructible and interactable things in the environment that can be pushed around with the Leap Motion, and with the helmet-mounted fans, you can feel the wind in your hair as you cruise over the landscape on your hovering Segway-like vehicle. This is really one of the best VR projects we’ve ever seen. 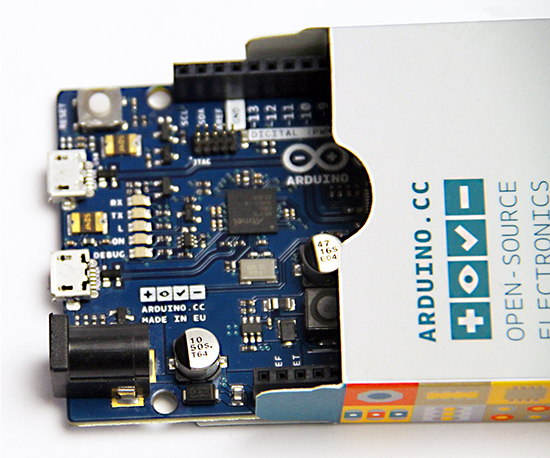 It’s a pleasure to announce the latest development board, Arduino Zero, expanding the Arduino family by providing increased creative opportunities to the maker community. 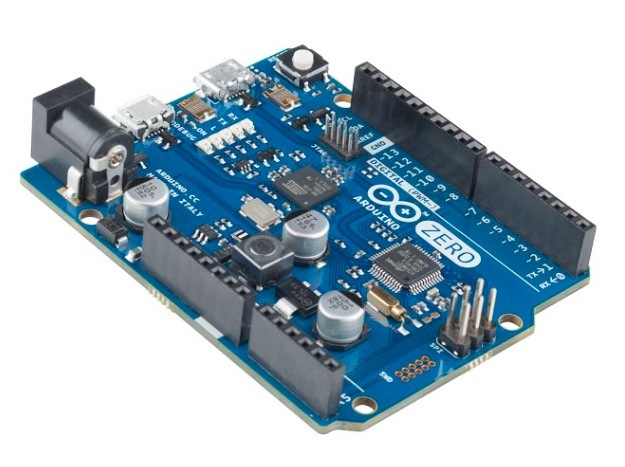 Arduino and Atmel unveil the Arduino Zero, a simple and powerful 32-bit extension of the platform established by Arduino UNO. It aims to provide creative individuals with the potential to realize truly innovative ideas especially for smart IoT devices, wearable technology, high-tech automation, crazy robotics, and projects not yet imagined.